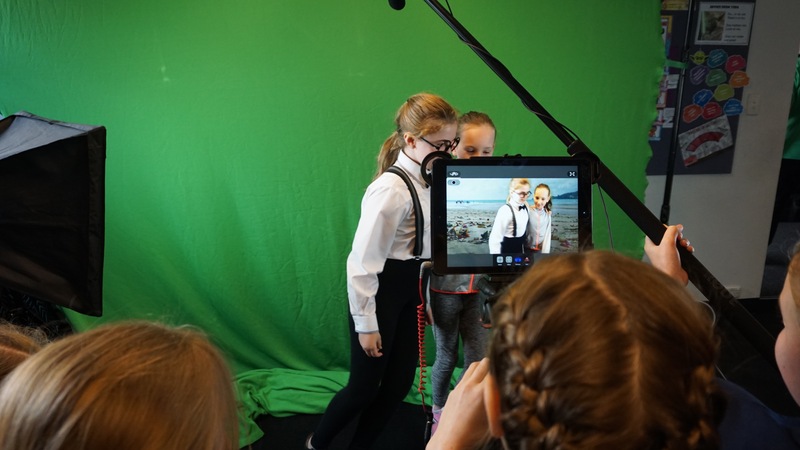 The latest audio-visual technology had Years 3 and 4 more engaged than ever in their History, Geography and Service Learning subjects on Thursday when StarTime visited Hooke House. Environmental care was the topic for Year 4 students who drew on their work in Geography and Service Learning to create and produce anti-plastic litter advertising to persuade viewers to ‘ban the bag’. 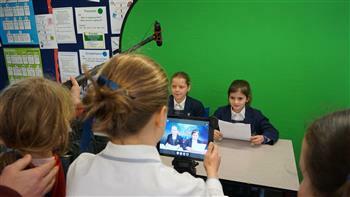 Year 3 converted their History research on the theme of celebrations into on-camera news reports. 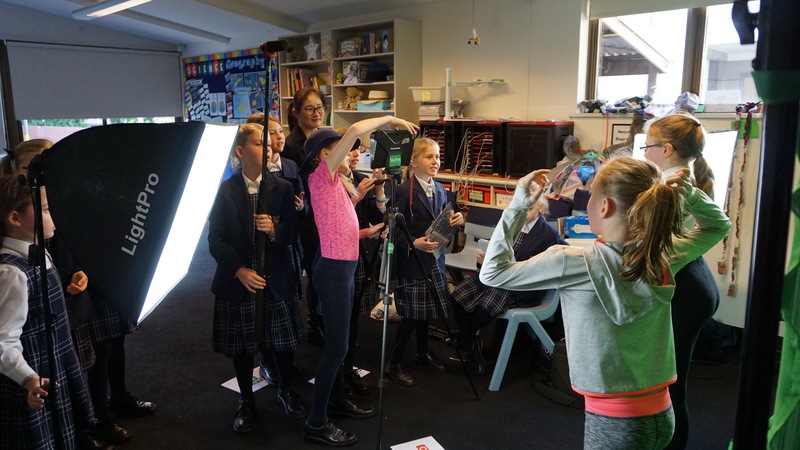 Both years formed groups of six to plan their work, develop their roles and scripts and learn the technology in a collaborative, creative and fun process. 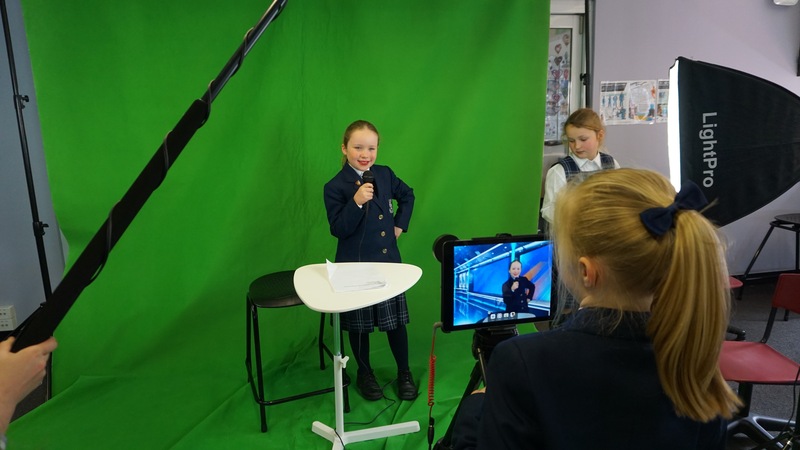 They also mastered the green-screen method for substituting the classroom background with a location, such as Paris, or a news studio. 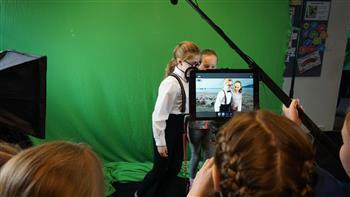 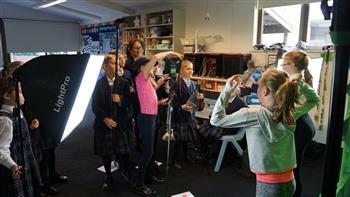 Junior School plans to present its digital media projects to the Years 3 and 4 parents’ assemblies.